Training, coaching and consulting in cold calling and finding new clients. Out of speech easily when in front of people? Easily emotionally reacting on people? 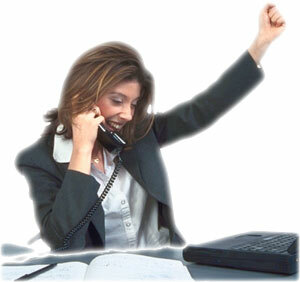 A person who has more certainty on how to telephone and how find new prospects and thus has better results. How to use help and control over the phone to get people interested. How to use social media to attract contact details from prospects. The coaching includes listening the person over the phone and exercising with the person so as to have better results. The coaching session varies in time from 1/2 to 2 days. “The seminar was very useful for me, because I learned very important for my job information. When you acquire from other people experience, the successful people- this is priceless. Thank you for sharing the experience. This was one of the most interesting seminars that I have ever attended.” – Sales manager in an estates promoter. “The seminar was very interesting and useful in improving my skills in order to contribute better in the new company I just started working for. I learned how to lead the conversation on the phone in order to achieve high results and to have fun with what I do.” – Sales Manager in a stock brokerage company.